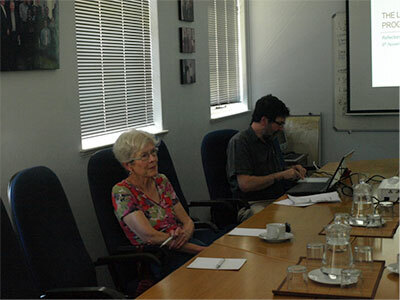 CPLO hosted David Mayson and Rick de Satgé from Phuhlisani Solutions about the various land issues, and especially the new policies on land, from the Department of Rural Development and Land Reform. We also had representatives from Rural Development Support Programme, Goedgedacht Forum for Social Reflection, and Justice and Peace. The presentation on the various issues revealed just how enormously complicated the question of land was, and how even more complicated Government’s response was to the land question. The state of the land policies left one wondering if the Department would really be able to deal with the land question before there was a total disaster. Living up to South Africa’s obsession with acronyms, the department had so many acronyms that one was left wondering if anyone really knew what they meant. But the dangerous part of this acronym proliferation is that it reflected a multiplicity of policies, ideas, programmes, initiatives, and institutions that betrayed a certain level of confusion and lack of policy coherence. However, it was also good to note that the seminar helped clarify quite a lot of matters and would go to great lengths in helping CPLO draft some kind of policy response that could be recommended to the Conference of Bishops.